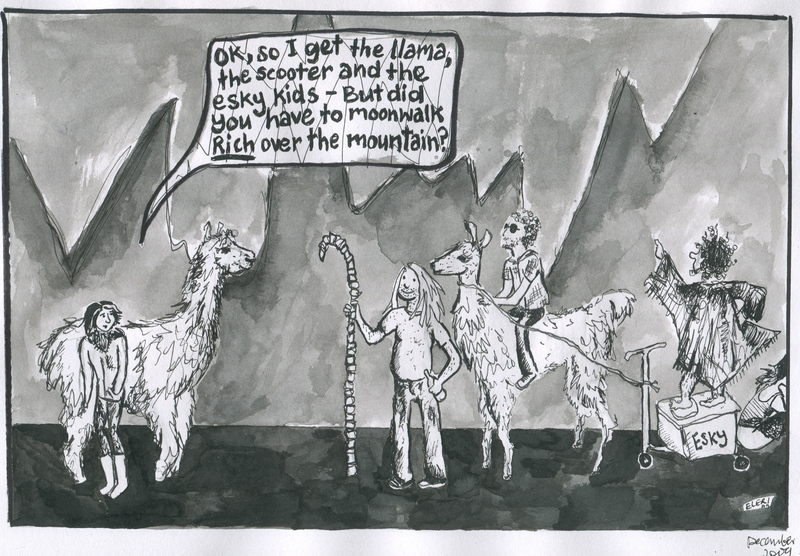 This is a cartoon based on a series of text messages that made very little sense at the time and probably even less now about llamas, alpacas, scooters, welsh mountain ponies and moonwalking over mountains. It is, quite frankly, absurd. Each person in this cartoon, me, Richard (wig and Bopeep crook), Dyfan, is wearing what they were at the Meredith Music Festival.